Reyna & Co provides a range of reliable bookkeeping and payroll services, keeping your financial records in order so you have more time to tend to your customers and grow your business. 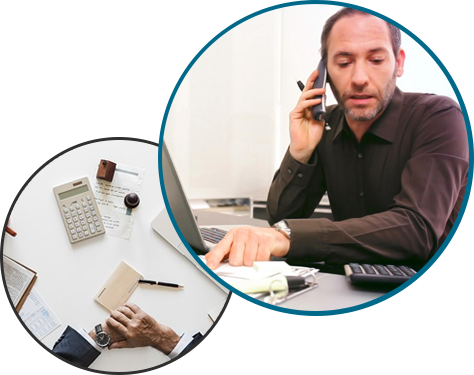 Specializing in small business accounting, we integrate technology, accounting knowledge, and personal service to make sure your books are balanced and that you have up-to-date financial information. YOUR FINANCIAL SUCCESS AND WEALTH! From Payroll, Accounts Payable, and Accounts Receivable, we can keep your books entered and up-to-date. Know where your finances are every month, with Reyna & Company bookkeeping services. Whether you have Quickbooks, or would like implement Quickbooks, we can untangle the mystery and set up your Quickbook accounts so you know “what goes where”, and “how to do this or that.” You can finally know you’re doing the right things with accounting. Monthly balancing of all your accounts is crucial to know where you stand financially. By having us care for your books, you will be up-to-date every month. Take the headache away of all those form filings, percentages for various deductions. You won’t have back-end liability when you have Reyna & Company keep your books. If you are always terrified you may not make payroll or your vendor’s bills, let Reyna & Company set you on a track.You might as well take the worry out of cash management. If your billing is out of date, your business may be cash starved. We can keep your invoices right up to the day.Put that cash in the bank quickly with speedy invoicing. Having a monthly Profit and Loss, and Balance Sheet will keep you as a “hands-on” business owner. Stay in the know with standard and custom financial reports. If you always wondered if a department or a group of people are pulling their weight in your company? Have Reyna & Company set up managerial reports to help run your business. I didn’t realize how hard keeping books was going to be. After struggling for a year to keep up, I asked Reyna & Co to take over looking after the accounts. It is the best decision I have made thus far, without question. Providing on-site and remote services, we are here when you need. We work around your schedule and create bookkeeping strategies to suit.